This special issue includes five articles, identified among the best papers presented at the session “ICT, sustainability, regulation and uncertainty: evolution and perspectives in information and control systems” of the XXXVIII Congress of Italian Academy of Business Administration and Management and two research works. Nowadays, firms work in a very complex and dynamic environment, in which different forces interact, as new technologies, new ways to look at the future, new principles and values, new regulations influencing the traditional view of accounting and management information systems. In this environment, a key driver to reshape the above-mentioned systems is to identify new models able at describing firms’ complexity. According to the author, these concepts are “ecosystem” and “triple helices”. New ways to look at the role and activities of firms in the economic environment inevitably affect their information and control systems. Keywords: accounting information systems, ecosystems, triple helics. Aarikka-Stenroosa L., Ritalab P. (2017), Network management in the era of ecosystems: Systematic review and management framework, Industrial Marketing Management, 67, pp. 23-36. Amigoni F. (1988), I sistemi di controllo: criteri di progettazione, in Amigoni F. (a cura di), Misurazioni d’azienda, Milano, Giuffrè. Arnaboldi M., Busco C., Cuganesan S. (2017), Accounting, accountabilty, social media and big data: revolution or hype?, Accounting, Auditing & Accountability Journal, Vol. 30 Issue, 4, pp.762-776. Doi: 10.1108/AAAJ-03-2017-2880. Bertini U. (1990), Il sistema d’azienda, Torino, Giappichelli. Cai Y., Cui Liu C. (2015), The roles of universities in fostering knowledge-intensive clusters in Chinese regional innovation systems, Science and Public Policy, 42, pp. 15–29 doi:10.1093/scipol/scu018. Ceccherelli A., Introduzione allo studio della ragioneria generale. Gli organismi aziendali, Firenze, Le Monnier. Etzkowitz H., Zhou C. (2006), Triple Helix twins: innovation and sustainability, Science and Public Policy, 33, 1, February 2006, 77–83. Doi: 10.3152/147154306781779154. Graça P., Camarinha-Matos L.M. (2017), Performance indicators for collaborative business ecosystems — Literature review and trends, Technological Forecasting & Social Change, 116, pp. 237–255. Lamboglia R., Mancini D., Piedepalumbo P. (2016), New Business Model for Value Co-creation in Smarter Universities, in Marchi L., Lombardi R., Anselmi L., Il governo aziendale tra tradizione e innovazione, Milano, Franco Angeli. Mancini D., L’azienda un tema ancora aperto. Alcune considerazioni sulla concezione di azienda di Alberto Ceccherelli alla luce delle teorie organicista e cognitiva, Rivista Italiana di Ragioneria e di Economia Aziendale, n. 9/10. Marchi L. (2003), I sistemi informativi aziendali, Milano, Giuffrè. Moore J.F. (1993), Predator and Pray. A New Ecology of Competition, in Harvard Business Review, May-June. 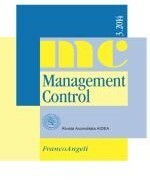 Le sfide evolutive del Management Control tra relazioni strategiche, innovazione e discontinuità: a knowledge transfer matter?